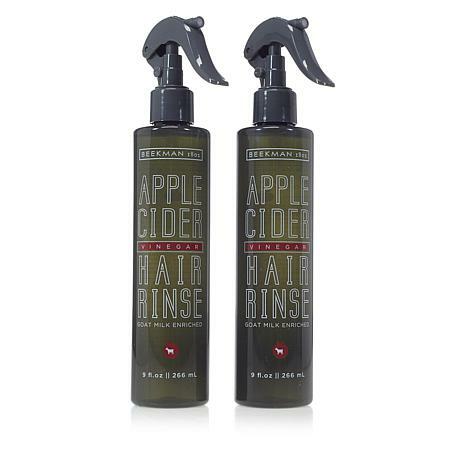 This apple cider vinegar hair rinse enriched with goat milk helps cleanse and condition dull hair by removing dirt and buildup from hair products. Push the lock on the neck to the "ON" position before use. Pump spray over the scalp area to saturate, and massage product into scalp and hair with finger tips. Let soak into hair for 1 to 2 minutes and rinse off. We recommend trading your shampoo for this rinse once or twice every week to achieve a glossier shine. Ingredients: Water (Aqua), Coco-Glucoside, Lauryl Glucoside, Aloe Barbadensis Leaf Juice, Polyglyceryl-4 Caprate, Glycerin, Pyrus Malus (Apple) Fruit Extract (Acetic Acid), Caprae Lac (Goat Milk), Salvia Sclarea (Clary) Extract, Thuja Occidentalis Bark Extract, Chamomilla Recutita (Matricaria) Flower Extract, Lavandula Angustifolia (Lavender) Flower Extract, Cymbopogon Schoenanthus (Lemongrass) Extract, Rosmarinus Officinalis (Rosemary) Leaf Extract, Urtica Dioica (Nettle) Extract, Equisetum Hiemale (Horsetail) Extract, Melaleuca Alternifolia (Tea Tree) Leaf Oil, Ocimum Basilicum (Basil) Extract, Hippophae Rhamnoides (Sea Buckthorn) Extract, Rapeseedamidopropyl Ethyldimonium Ethosulfate, Quaternium-96, Dipropylene Glycol, Propanediol, Phenylpropanol, Ethylhexylglycerin. This is a great product!! If you live in an area with hi humidity it works great to give your hair volume and shine. I interchange it with the goat mike shampoo. Awesome product as well as the shampoo and really all of your products!! Those little goats......just love them and you guys!!!! Leaves my hair soft and less frizzy. Wonderful for Hair and Scalp! Love this product- a unique concept. I had used apple cider vinegar in the past on my troubled scalp- home made version- this is far superior! Quiets the scalp, gives life and shine to mid shampoo hair, and allows me to keep all in much better, less drier condition. So thankful that Beekman developed it! My 14 year old daughter has had very bad scalp build up since she was a baby. We have tried medicated shampoo as well as other home remedies. This product is the first thing that has worked. It has eliminated a lot of the yellow build up and has made her hair shiny. Her hair has never looked so healthy. Thank you Beekman! I cannot manage cleaning my hair w/o this product. 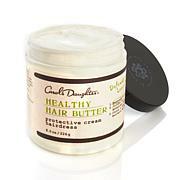 Its clearing up whatever scalp condition and irritation I was experiencing. My hairdresser can notice the improvement. Anxious to show dermatologist.